In speaking to Polygon, Uber explained that the legacy netcode that powered Super Monday Night Combat would need to be completely rewritten to comply with the GDPR. An alternative would be to port the game to Microsoft’s PlayFab platform but with a playerbase that hadn’t topped 200 daily players in years, the studio’s budget would not support it. What is Super Monday Night Combat? Super Monday Night Combat is a free to play, strategic, multiplayer shooter… and the most popular lethal sport of the future! It blends intense tactical combat, a deep metagame, an ever-expanding roster of Pros, and an ever-growing amount of customizations. Why fight in bombed out cities or desert wastelands when you can have every kill streak judged by hilarious sportscasters and cheering, or jeering, fans? Super Monday Night Combat is free to play! Players can choose from a rotation of free Pros to play every week and have a chance of winning most customizations and gameplay improvements from our Post-Game Prize system! Super Monday Night Combat blends intense combat of a shooter with lots of strategic depth. Shooting enemy players and bots, upgrading skills, and using money wisely is key to being victorious. 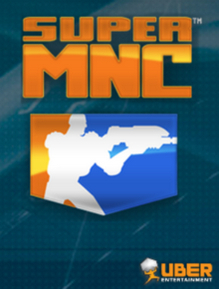 Super Monday Night Combat has increased the roster of Pros, the strategic depth of gameplay, the customization options and the amount of metagame over it’s predecessor. On top of all that, the rules will continue to change! Super Monday Night Combat is updated every week with balance and gameplay improvements, and new content such as Pros, uniforms, taunts, weapons, game modes, and maps! Each Pro comes with its own unique look, voice, taunts, uniforms, weapons and skills. Pros are broken up into Commandos, Defenders, Enforcers, Strikers, and Sharpshooters so you’ll have multiple to choose from to fit your play style! Customize how you look with mix and match Pro uniform pieces, different weapons, and taunts. Then customize how you play by unlocking and setting up endorsements and products. Playing Super Monday Night Combat allows you, the agent, to level up and earn combat credits to unlock lots of gameplay improvements. Players can also collect various customizations to perfect your look! Share and trade items for Super Monday Night Combat and across games using Steam Trading!